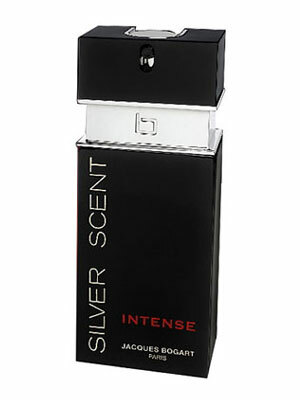 There are 10 reviews of Silver Scent Intense. 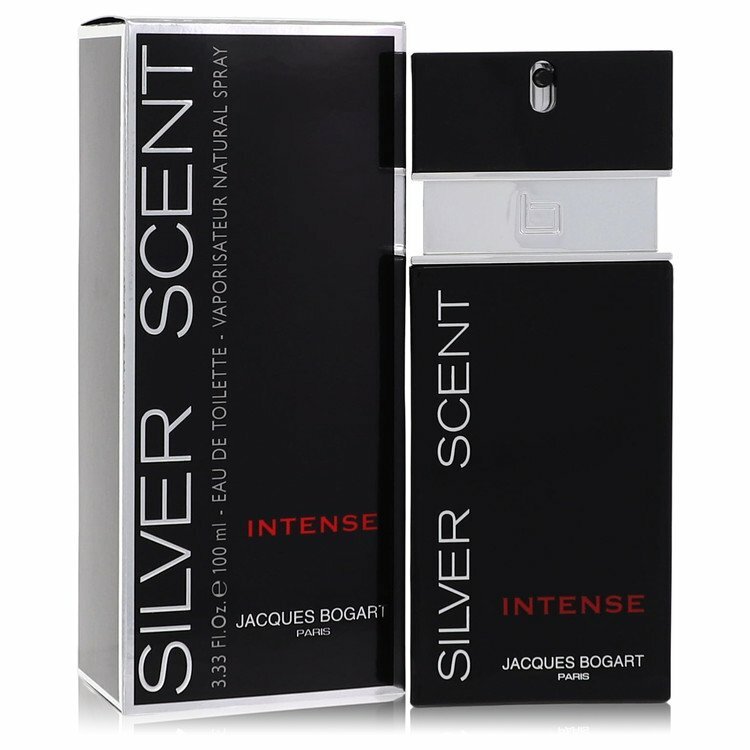 As many reviewers have already noticed, Jacques Bogart Silver Scent has very astonishing similarities to Altamir by Ted Lapidus and Sculpture by Nikos. I reckon that it is not a pure coincidence, at least not with the former. The Bogart Group owns licenses for both Jacques Bogart and Ted Lapidus perfumes, so I wouldn't be surprised if JBSS and TLA shared the same vibe and aura. Besides, the three of them have nearly all the dominant main notes in common, such as orange blossom, tonka bean, lemon, and amber, plus some other notes eventually present in two of then and not in the other. Altamir and Silver Scent being for cold and dry winter's days, whereas Sculpture being for hot and wet summer's days. Anyway, that does not mean JBSS is either a copy or a clone of the other two... rather, it is an excellent perfume per se. By the way, Silver Scent is a fragrance with many contrasts both fresh and warm, modern with a classical distinction. Its opening is surprising with the vibrancy of its citrus notes and the natural freshness of orange blossom. The lemon note is more like the aroma of the fresh juice, stinging and sour, rather than the zesty aroma from the peel, yet very good. Let the citrus facet calm down a bit and a bitter aromatic spicy aroma starts spreading away. The wild green geranium and the dark lavender, together with the balsamic cardamom introduce the heart of this scent. This powerful mix fills your nose and reaches your mind, completely soothing your soul. it is dark, deep, mysterious. Silver Scent is my first JB scent, and I think I love it. This is the stage where the resemblance with TLA is more prominent. As a final note, after several hours, an attractive accord of vetiver strengthened by teak wood blends into the intense sensuality of tonka beans. this stage is sweet and musky, truly masculine. Even though I know very well the smell of the lychee, my favorite Xmas fruit, I do not get any in there, rather a musky and mossy note is clearly recognizable. I really enjoy this fragrance. Great longevity and sillage. I was wearing it on a working day, none of my colleagues got offended, and yet I got some whiff of it at evening on my way back home. Suitable for late fall and throughout winter, for people of middle 20 and above. An excellent value! I am looking forward to buying some other JB fragrances! Magnificent scent. Elegant, complex, just delicious. Two to three sprays are ideal for me. Lovely fresh citrus. The women in my life have complimented this scent, they also like this a lot. I am on the same page as the reviewer Lex Ellis on this, and agree with his review, highly recommend this. 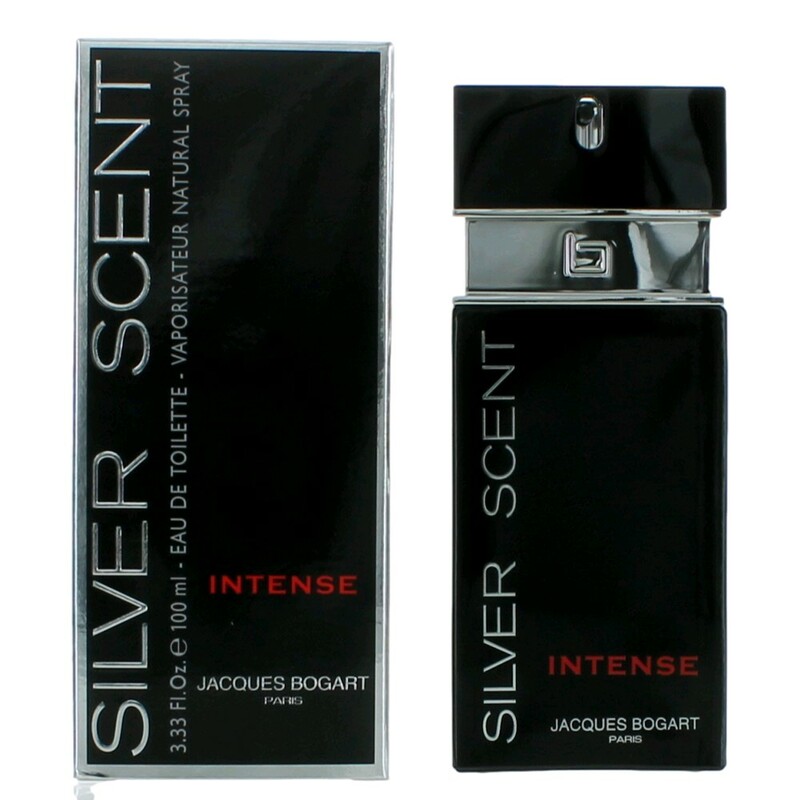 I love Silver Scent Intense by Jacques Bogart! It reminds me of shopping at a spice market! I smell oud and violet. It is similar to Jacques Bogart's One Man Show Gold Edition, but a little lighter on the violet note. I love it because it smells like nothing else out there (except One Man Show Gold Edition). I love wearing all Bogart fragrances in cooler weather. I do, however, enjoy wearing the original One Man Show and Witness during spring/summer. I think ALL Jacques Bogart fragrances are very well made and very long-lasting. I haven't purchased one yet where I don't get at least 8 hours', if not more, out of it. I do, as a matter of fact, get many compliments on Silver Scent Intense, and last year at a Halloween party when I wore One Man Show Gold Edition, the compliments wouldn't stop! It must've been the prominent violet and incense notes. Some people compared it to Paco Rabanne's One Million, but I think One Man Show Gold Edition's staying power is much better! I love them all! Starts off soapy. Dries down to a leathery musk with hints of cinnamon, nutmeg and lavender. Smells like a fragrance from the 1970s. Projection is strong, longevity is also reasonable (8+ hours). Very easy to overdo this fragrance. It's not my favourite scent, but it's not bad. I think it's the kind of fragrance where one needs to be rocking hairy chest and a Magnum PI-spec moustache for best effect. If you read my review for the original version of this fragrance, you know how much I hate it! Now this one! is this really an intense version?! Actually it's watered down version of the original plus add more woodsy notes! The opening is synthetic, fruity and sweet, but not as synthetic as the original! The opening is like the dry down of the original plus some oud! So, they are the same in many ways but in my opinion this is a little lighter and better version of the original, but still I don't like it! It's a little pricier than the original but still a cheap fragrance. The projection and the longevity is great just like the original. I prefer this more in the air than on my body..Bogart for teens. There are no member images of Silver Scent Intense yet. Why not be the first?